You are here: Home / Cars for Sale / MORRIS MINOR 1000 2door SALOON 1963 £2750.00 NOW SOLD. Morris Minor 1000 2door saloon. 1963. Smoke Grey (which is a light blue really) with blue/grey duotone interior. This is one of the first Minors to be fitted with the 1098cc engine, uprated gearbox and larger brakes. 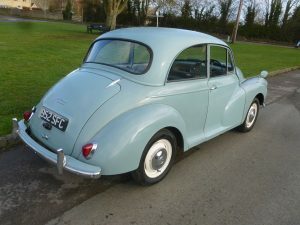 I would describe this as being a good “starter classic” at an affordable price. 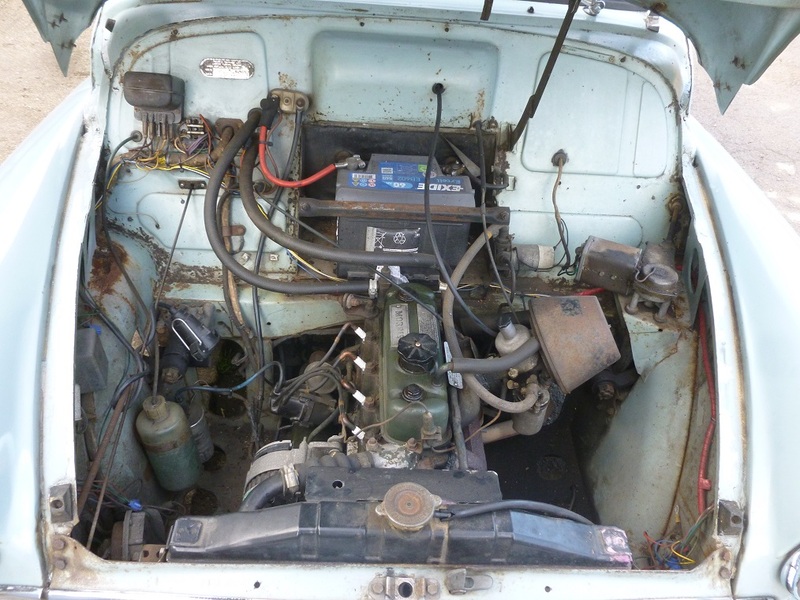 It cannot be described as being in immaculate condition. 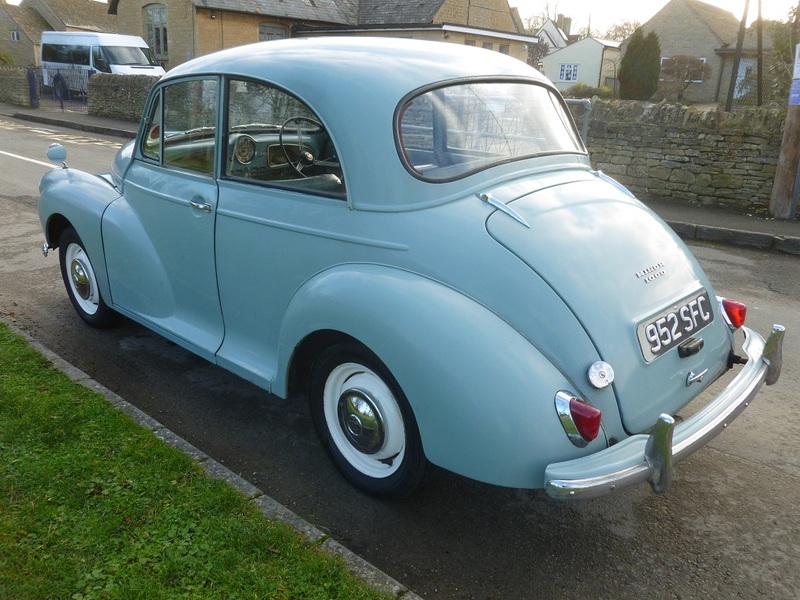 It has never been restored and is in largely original condition with room for improvement if that is desired. However it is presentable and perfectly capable of regular use – as indeed it has been. 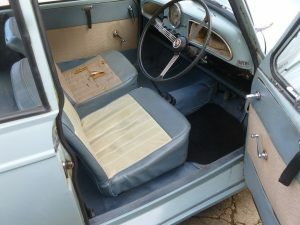 Front and rear seatbelts are fitted along with a heated rear windscreen. 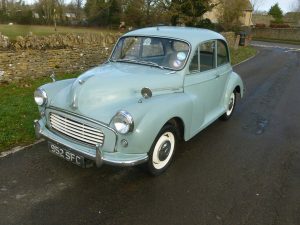 The car is MOT exempt but does have a current MOT. It has been regularly maintained and driven and is fitted with a draw-bar to enable it to be towed behind a motorhome if desired. 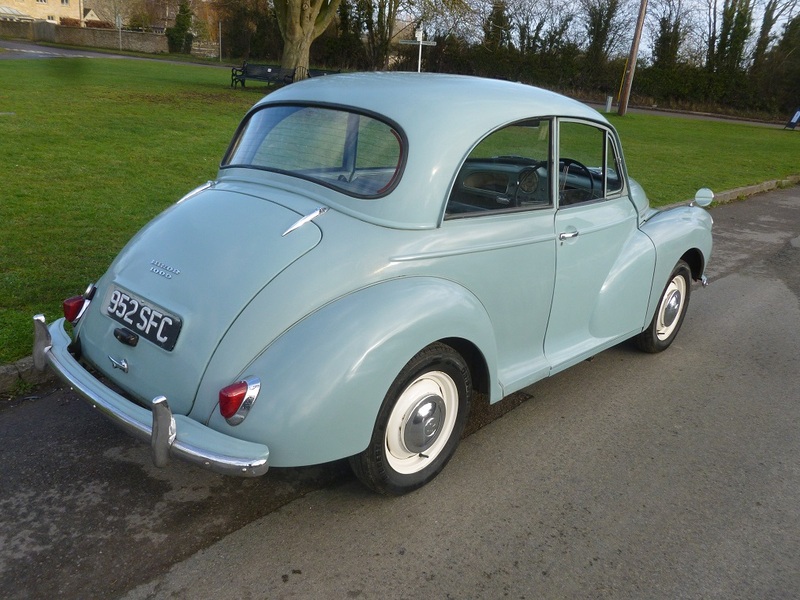 The car also benefits from still having the original Oxfordshire registration number of 952 SFC which would have some interest and significant value on its own – to a Southampton Football Club supporter perhaps. Please contact us for further details. NOW SOLD. THANKS FOR LOOKING.